Based on the first of J.K. Rowling’s popular children’s novels about Harry Potter, the live action family adventure film Harry Potter and the Sorcerer’s Stone tells the story of a boy who learns on his 11th birthday that he is the orphaned son of two powerful wizards and possesses unique magical powers of his own. Invited to attend Hogwarts School of Witchcraft and Wizardry, Harry embarks on the adventure of a lifetime. At Hogwarts, he finds the home and the family he has never had. The IMAX release of Harry Potter and the Sorcerer’s Stone will be digitally re-mastered into the image and sound quality of The IMAX 2D Experience with proprietary IMAX DMR® (Digital Re-mastering) technology. The crystal-clear images coupled with IMAX's customized theatre geometry and powerful digital audio create a unique environment that will make audiences feel as if they are in the movie. PLEASE CHECK DIRECTLY WITH YOUR LOCAL IMAX FOR DAY ACCESS, FOUR-SHOW ACCESS AND FESTIVAL ACCESS TICKETS. Celebrate “ Book Lovers Day” today by showing some love for classic childhood books that became IMAX films. Here are three of our favorite film adaptations to honor this holiday. J. K. Rowling’s Harry Potterseries is among the most recognizable book titles to date. The film series following the book is no different. 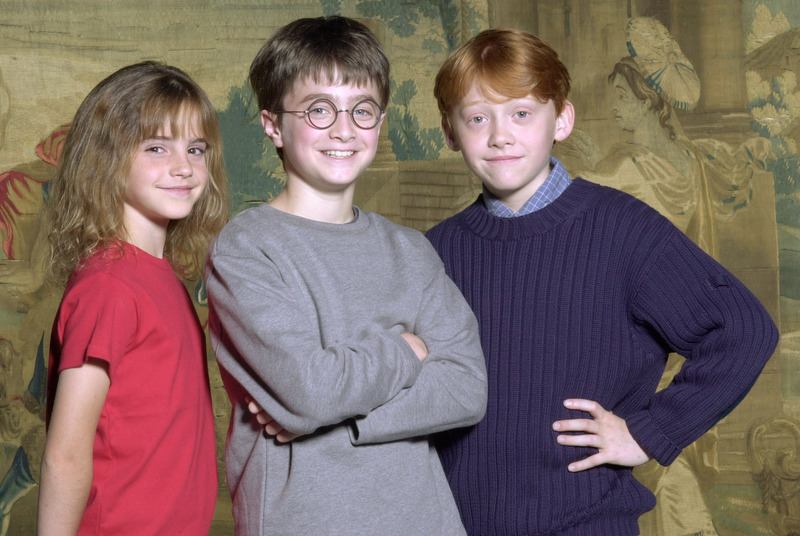 Since the release of the first movie, it’s hard to imagine Harry, Hermione and Ron played by anyone but Daniel Radcliffe, Emma Watson and Rupert Grint, respectively. The first Harry Potter film to be released in the IMAX format was Harry Potter and the Prisoner of Azkaban, and the final five films followed suit. The spinoff, Fantastic Beasts and Where to Find Themwas featured in IMAX last year, preceded by an entire week of all 8 original movies! What’s more, we have four more Fantastic Beastsmovies coming our way. BuzzFeed entertains the early 2000s Harry Potterhype with quizzes to find out which house you belong in by answering standard questions, or by detailing your pizza order. Many universities have Quidditch teams, too, who compete for the World Cup! The first publication of the original Harry Pottercelebrated its 20th birthday only a few weeks ago, and the celebrations continue for Book Lovers Day. The Hunger Gamessparked a fanatic fandom of its own. Suzanne Collins’ stories of a post-apocalyptic world involving televised death matches and government rebellions attracted millions of readers and moviegoers. The film adaptations brought back Josh Hutcherson, the beloved actor from another film adaptation, Bridge to Terabithia. It propelled Jennifer Lawrence into stardom as a role model for courageous girls on and off the screen. Just like with Harry Potter, fans would take quizzes to find out which district of Panem they’d belong to. Mockingjay pins became fashion staples, and finding a fellow fan was never easier than holding up three fingers in the air. Archery became the new big thing after Katniss made it cool, but if you were going to use a bow and arrow, you had to don the classic braid, too. Bonus: Did you know that the Hunger Games: Catching Firearena scenes were shot on IMAX cameras? Throwing it back to a little over a century ago when J. R. R. Tolkien wrote The Hobbitand plunged readers into an entirely new world. Although The Hobbitis a precursor to The Lord of the Rings,the LOTR films were the first on-screen introduction to Middle-earth. The first of its trilogy, released in 2001, introduced a new legion of diehard fans to the fantastical tale and led to two subsequent films. The books and films have left quite the legacy; references made to both The Hobbitand The Lord of the Ringsremain relevant, and the books are still essential to some high school curriculums. Despite the stories being the oldest of this bunch, The Hobbitand The Lord of the Ringsstill attract new fans all the time. You’re guaranteed to see at least one kid on Halloween each year in a Gandalf costume, complete with a beard that would probably take as many years to grow as The Hobbithas been around. Furry hobbit feet slippers exist, too, so when you curl up to re-watch one of the six films for the one hundredth time, your feet can stay warm and in character. Why was Lord of the Rings made into a movie? The fans were Baggins for it. We can’t wait to see what the next big book-to-movie franchise will be. There are countless other books to celebrate today. Here’s to the authors who create them and the filmmakers who bring them to life! As we close the book on 2016, I’d like to thank you for your readership this past year. Friday Feature was started in early 2016 as a way of recognizing and celebrating all things IMAX, so what better way to spend our final Friday Feature of 2016 by spotlighting some of our most memorable movie moments throughout the year. 3. 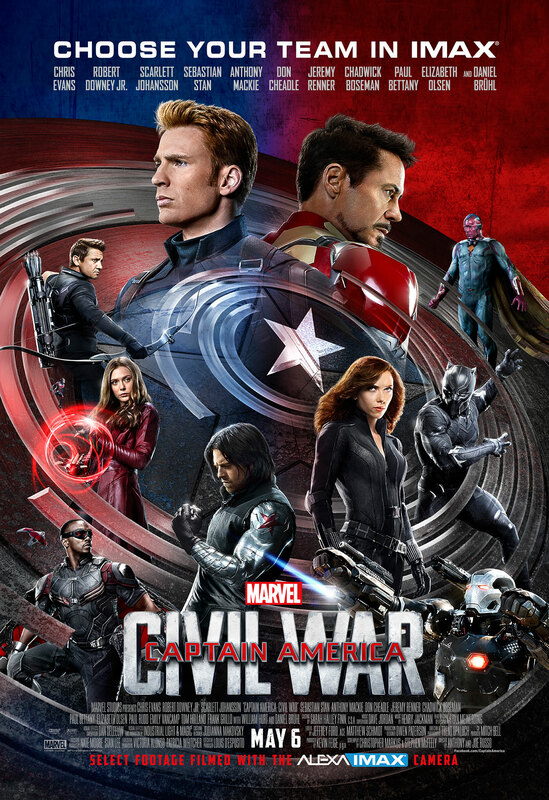 Captain America: Civil War : Just one month after the release of Batman v Superman, Disney broke records in IMAX with Marvel’s Captain America: Civil War, which also featured the use of IMAX cameras and expanded aspect ratio, resulting in one of the year’s most epic, superhero-sized battle sequences. 4. 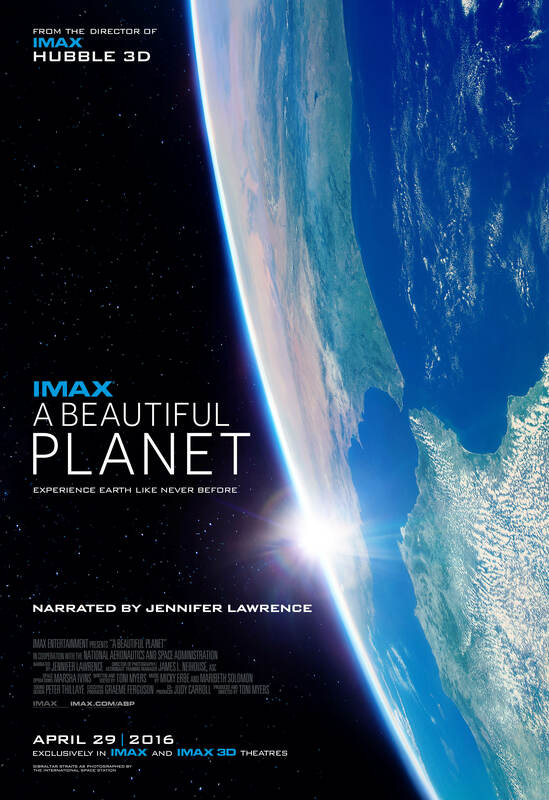 A Beautiful Planet : From acclaimed filmmaker Toni Myers, IMAX feature documentary A Beautiful Planetfeatured plenty of “firsts”—chief among them being that it was the first time an IMAX space documentary was shot using digital cameras, allowing for the first time night-time footage to be captured from space. 5. 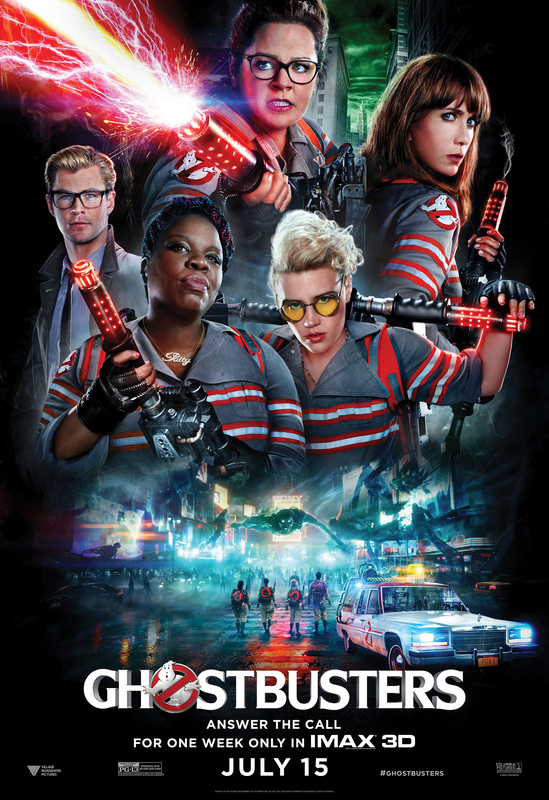 Ghostbusters : As a significant trend-starter in 2016, Sony’s female-powered action-comedy Ghostbustersmakes the cut with its super cool 3D special effects “breaking beyond the frame”—a technique that would later be used by Fantastic Beasts and Where to Find Them. 6. Sully : Is it really possible to have a “best of” list and not include Clint Eastwood’s latest? Not from our perspective, it isn’t. 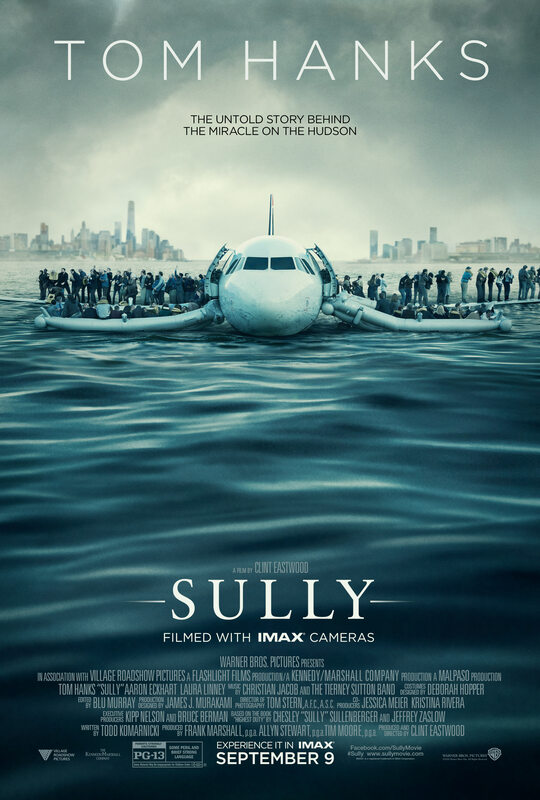 That’s because Sully marks the first film ever to have been filmed virtually entirely using IMAX cameras. Way to go Clint! 7. Harry Potter 1& 2: As part of the week-long engagement in October during which audiences had the opportunity to see all eight Harry Potterfilms in IMAX, the franchise’s first two installments— Harry Potter and the Sorcerer’s Stoneand Harry Potter and the Chamber of Secrets—were digitally re-mastered into the IMAX format for the very first time, making them a truly unique experience collectively. 8. 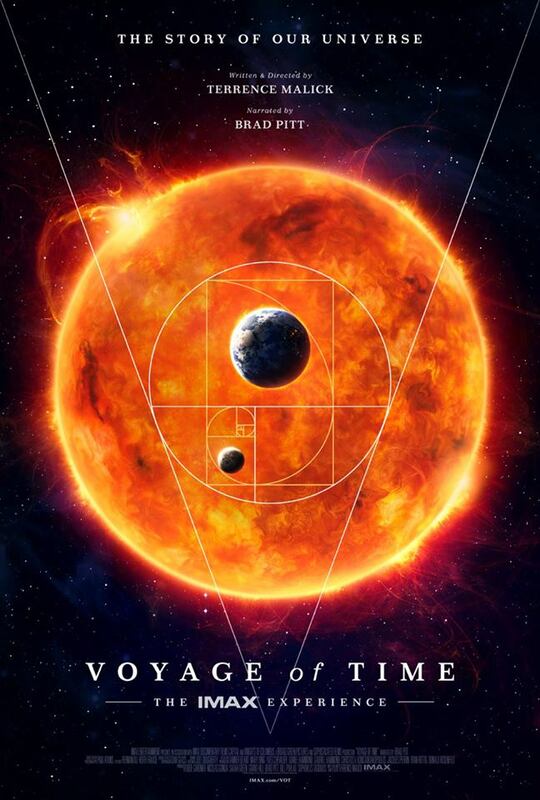 Voyage of Time: The IMAX Experience : Speaking of truly unique experiences, there is no better way to describe legendary filmmaker Terrence Malick’s first foray into documentary filmmaking with Voyage of Time: The IMAX Experience. The film premiered at the Toronto International Film Festival where it garnered rave reviews and has since been released in an Ultrawidescreen 3.6 version—a purely experiential film presented in the widest aspect ratio possible. 9. Rogue One: A Star Wars Story : Again, what year-end movie list would be complete without a Star Warsmention? Certainly not one from IMAX as Star Warshas become an integral part of The IMAX Experience®. 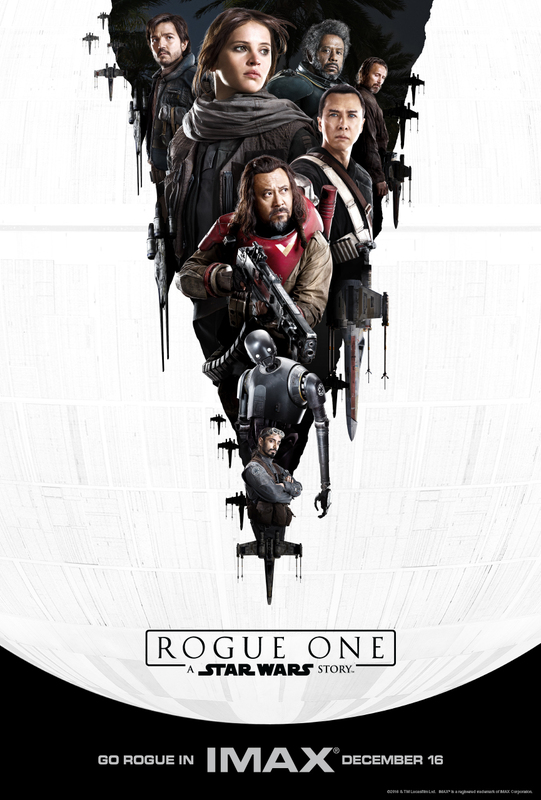 With Rogue One, we were more than satisfied … ‘till next year.